carry Roa & Asha with you wherever you go. Please be aware this discussion guide contains spoilers. 1. 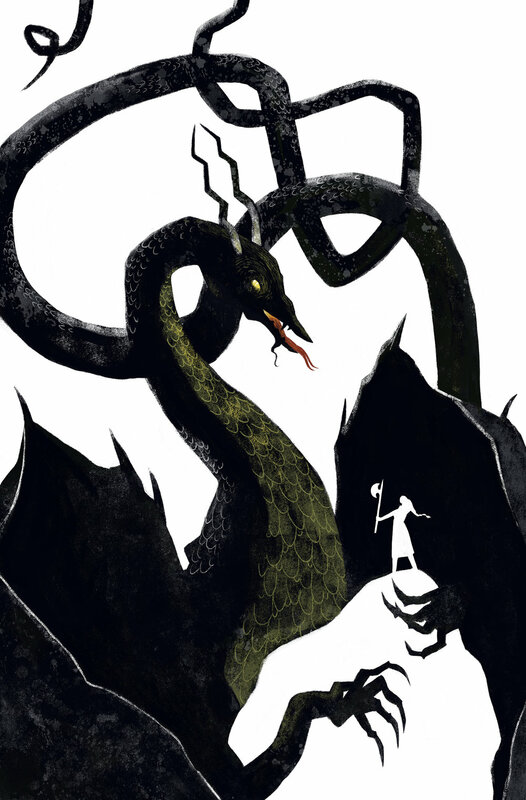 In the world of The Last Namsara, stories are powerful, dangerous things that lure dragons. Do you think that stories in our world can be powerful or dangerous? Why or why not? 2. What are the importance of stories in Asha’s life? Are there any stories that are or have been important to you in your life? 3. Is the god Namsara good and the god Iskari evil? Or is it more complicated than that? Why or why not? 4. How has Asha’s history and relationship with her father affected who she is and how she sees herself? 5. Why does Asha save Torwin and Shadow in the pit knowing she endangers herself by doing so? In what ways is she endangering herself? 6. How does Asha’s mind begin to change about Torwin, the dragons, and scrublanders? Is there anyone in your life who you’ve pre-judged, and then changed your mind about? Have you ever changed your mind about big, important things? How does this happen, do you think? 7. More than anything, Asha wants to hunt down the First Dragon so she can be redeemed for the wicked things she did as a child. Does she succeed in the end and get redeemed? Why or why not? 8. How is the way Asha sees herself at the beginning of the book different from how she sees herself at the end? What contributed to this change, do you think? 9. In the beginning of the book, Asha has a lot of shame over who she is and what she’s good at (telling stories). Have you ever been ashamed of something you loved or something you couldn’t change about yourself? What is something you can do to help you not be ashamed of that thing, but proud of it instead? 10. The book ends with: “Maybe everyone did have a song in them—or a story. One all their own. If that were so, Asha had found hers. And here she stood at the beginning of it.” What do you think this means? Map of Asha, Roa, and Safire’s world, illustrated by Elsa Kroese. 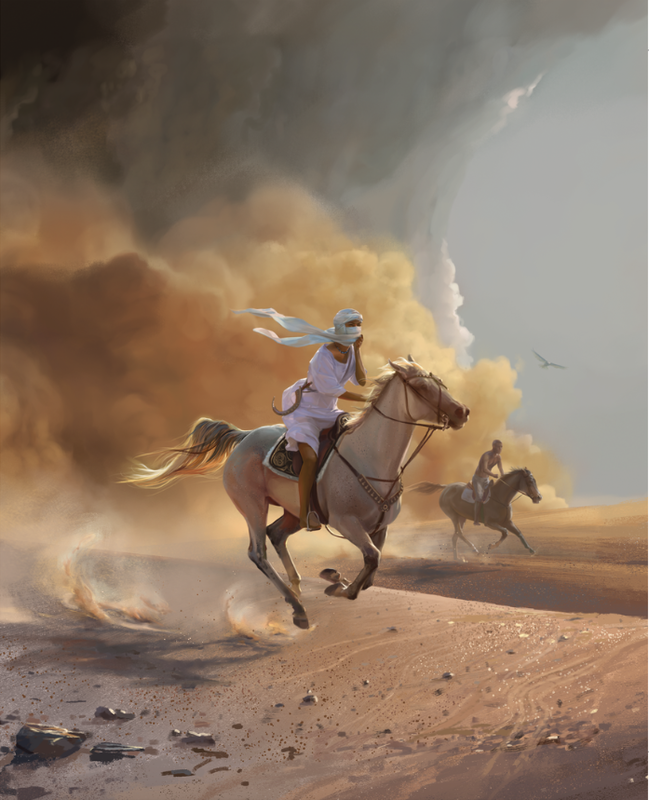 Roa and Dax in the sandstorm (from The Caged Queen). Cover image for the Dutch edition, illustrated by Elsa Kroese. 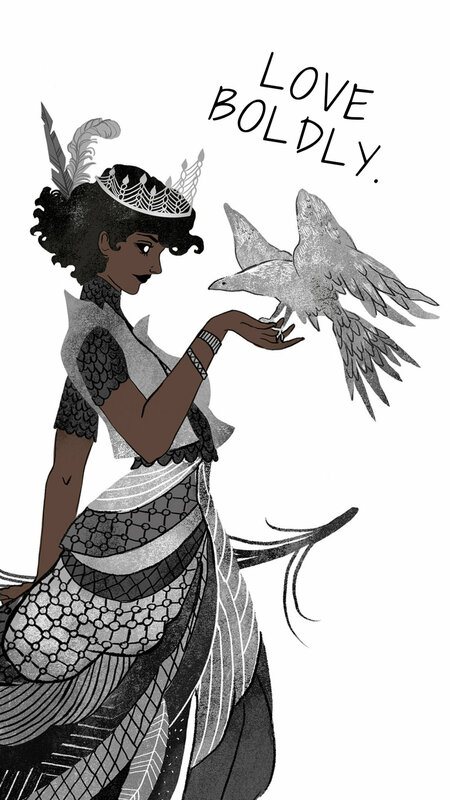 The goddess Iskari, illustrated by Julia Iredale. 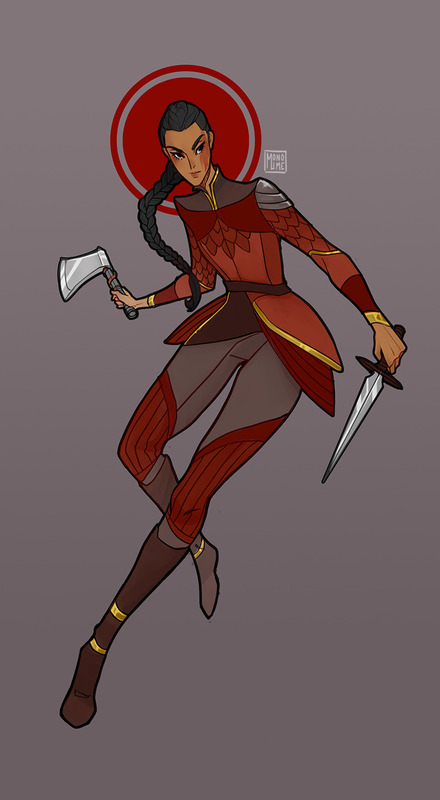 Roa, Essie, and the Skyweaver’s Knife (from The Caged Queen). Illustrated by Elsa Kroese. 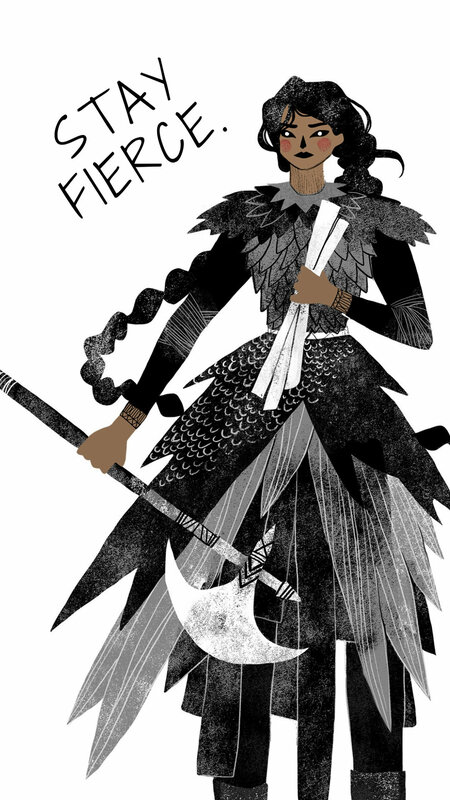 Asha illustrated by monolime, comissioned by Bookish Teas. 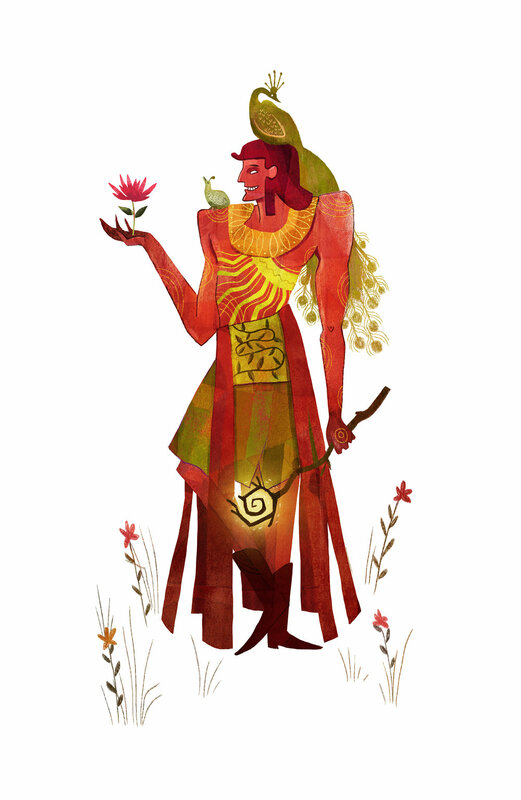 The god Namsara, illustrated by Julia Iredale.